Professor Peter Smith is an Emeritus Professorial Fellow in Economics at the University of Southampton. 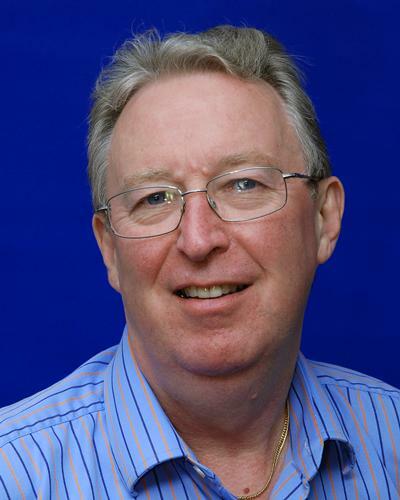 Peter Smith joined the University of Southampton in 1974 as a research fellow to work on the Southampton Econometric Model, taking up a lecturing position in 1978. He retired in 2015. Primary interests are in development economics and economics education. Peter is also an Associate of the Economics Network (formerly under the auspices of the HEA), and has contributed chapters to The Handbook for Economics Lecturers on undergraduate dissertations (2009) and curriculum design (2017). Peter has published textbooks for AS and A-level Economics, and online learning resources for John Sloman’s first-year undergraduate textbook Economics. Peter is Editor of Economic Review. He was formerly a reviewer for the UK Quality Assurance Agency for Higher Education. Habibullah, M. S., & Smith, P. (2009). Has financial liberalisation reduced liquidity constraints in Malaysia: some empirical results. Quarterly Journal of Economics, 7(1), 68-77. Ismail, N. W., Smith, P., & Kugler, M. (2009). The effect of ASEAN economic integration on foreign direct investment. Journal of Economic Integration, 24(3), 385-407. Hooi, T. S., Habibullah, M. S., & Smith, P. (2007). The asymmetric effects of monetary policy in four Asian economies. International Applied Economics and Management Letters, 1(3), 1-7. Smith, P., & Habibullah, M. S. (2002). Divisia monetary aggregates as information variables for Singapore and Taiwan. Asian Economic Review, 44(2), 244-258. Habibullah, M. S., & Smith, P. (2001). Financial liberalisation and liquidity constraints in Myanmar and Nepal: Some empirical evidence. Savings and Development, 2, 123-139. Habibullah, M., & Smith, P. (1997). On time series properties of income velocity of money in Korea, Singapore and Taiwan. Asian Economies, 26(3), 65-81. Ismail, A. G., & Smith, P. (1995). Monetary policy under financial deregulation. Asian Economies, 24(1), 5-26. Ismail, A. G., & Smith, P. (1994). Financial deregulation in Malysian banking. Savings and Development, 18(4), 457-472. Ismail, A. G., & Smith, P. (1993). The evoloving role of monetary policy in the Malaysian banking system. Savings and Development, 4(4), 405-421. Smith, P. (1992). Controlling traffic congestion by regulating car ownership: Singapore's recent experience. Journal of Transport Economics and Policy, 26(1), 89-95. Smith, P. (2015). Edexcel A level economics book 1. London, GB: Hodder Education. Smith, P. (2015). OCR A level economics book 1. London, GB: Hodder Education. Smith, P. (2014). Cambridge International AS and A Level Economics. London, GB: Hodder Education. Sloman, J., & Smith, P. (2009). Economics: Student Workbook. Seventh Edition. Harlow, GB: Prentice Hall. Smith, P. (2009). Edexcel A2 Economics. London, GB: Philip Allan Updates. Smith, P. (2009). OCR A2 economics. Philip Allan Updates. Smith, P. (2009). Undergraduate dissertations in economics. Economics Network. Smith, P. (2006). OCR Advanced Economics. Deddington: Philip Allan Updates. Smith, P. (2005). Edexcel advanced economics. Deddington, UK: Philip Allan Updates. Smith, P. (1997). Poverty alleviation strategies for Uganda: a report for the Bank of Uganda. Uganda: Bank of Uganda. Smith, P. (2001). Should Africa try to learn from Asia? Lessons for and from Uganda. In P. Lawrence, & C. Thirtle (Eds. ), Africa and Asia in comparative economic perspective (pp. 49-64). Basingstoke, UK: Palgrave. Smith, P. (1996). On the use and limitations of economic and social indicators in analysing the quality of life in Singapore. In E. Quah, & D. Lee (Eds. ), Household Economics and the Asian Family (pp. 72-104). Singapore: Eastern Universities Press. Smith, P., & Ulph, A. (1994). A comparative study of flexibility in the response of national economies to the oil-price shocks. In T. Killick (Ed. ), The Flexible Economy: Causes and Consequences of the Adaptability of National Economies (pp. 222-256). London, UK: Routledge. Smith, P. (2013). From a multidisciplinary to an interdisciplinary curriculum: a case study of curriculum innovation. Paper presented at International Conference on Enhancement in Education, United Kingdom. Smith, P. (2011). Curriculum innovation at the University of Southampton: curriculum design for a post-Browne world. Paper presented at Developments in Economics Education, United Kingdom. Musinguzi, P., & Smith, P. (2000). Saving and borrowing in rural Uganda. (Discussion Papers in Economics and Econometrics; No. 16). Southampton, UK: University of Southampton. Musinguzi, P., & Smith, P. (1998). Structural adjustment and poverty: a study of rural Uganda. (Discussion Papers in Economics and Econometrics; No. 9813). Southampton, UK: University of Southampton. Chin, A., & Smith, P. (1995). Car ownership and government policy: analysis and evaluation of Singapore's vehicle quota scheme. (Discussion Papers in Economics and Econometrics; No. 9505). Southampton, UK: University of Southampton. Smith, P., & Ulph, A. (1993). The flexibility of national economies in response to the oil-price shocks. (Discussion Papers in Economics and Econometrics; No. 9322). Southampton: University of Southampton. Smith, P. (1992). Women in the labour force: some aspects of gender inequality in human development. (Discussion Papers in Economics and Econometrics; No. 9227). Southampton, UK: University of Southampton.